The Office of Biometric Identity Management (OBIM) supports the Department of Homeland Security’s responsibility to protect the nation by providing biometric identification services that help federal, state, and local government decision makers accurately identify the people they encounter and determine whether those people pose a risk to the United States. 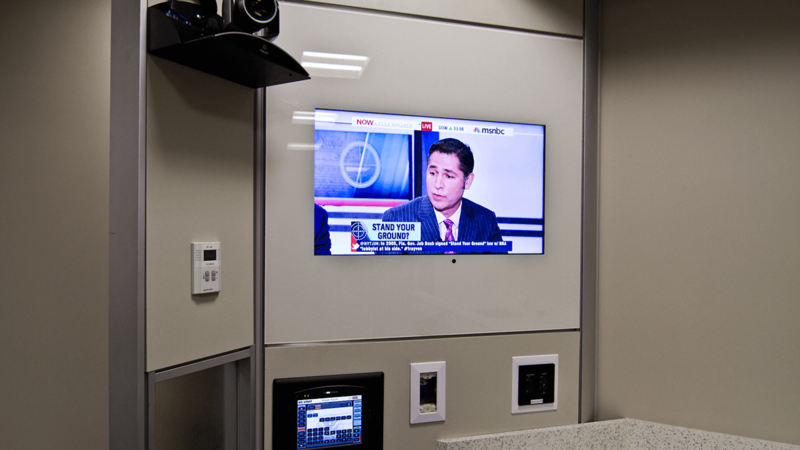 OBIM supplies the technology for collecting and storing biometric data, provides analysis, updates its watchlist, and ensures the integrity of the data. 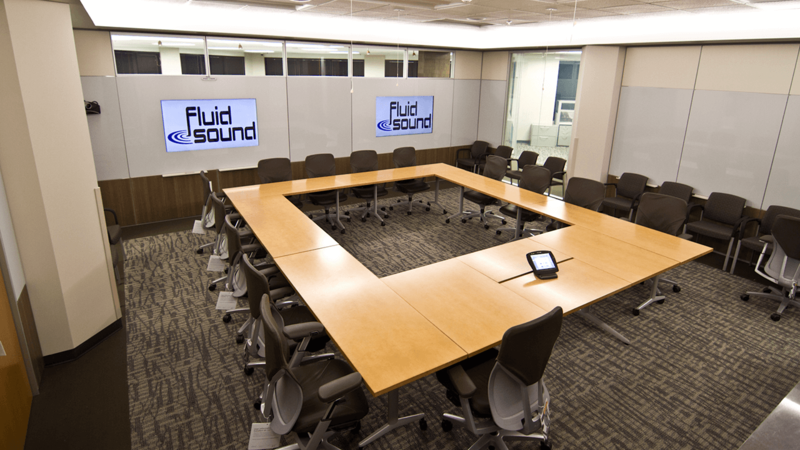 Challenge: Design & install an AV System with 3 zones (Conference Room, Training Room & Overflow) within the facility to include independent Audio & Video Conferencing & presentation systems while having the ability to share the AV content with the other zones as “over-flow” when appropriate. 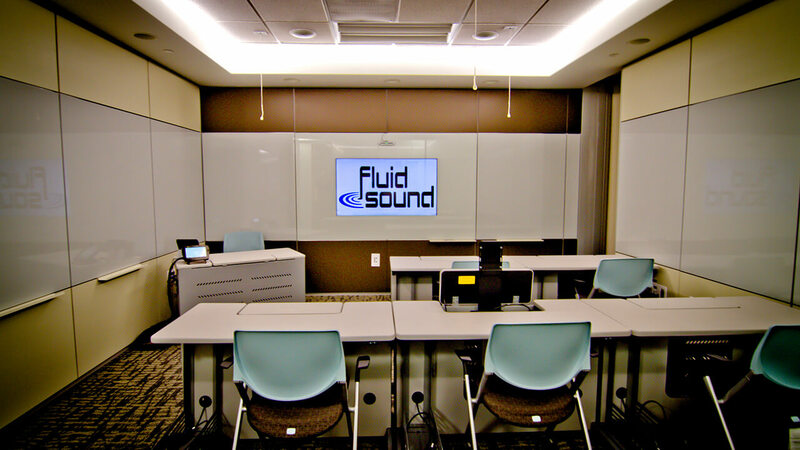 Meeting Room presentations required Video Streaming capabilities over the internet to be accessible at other Federal facilities and Interactive Whiteboard overlays for the LCD monitors. 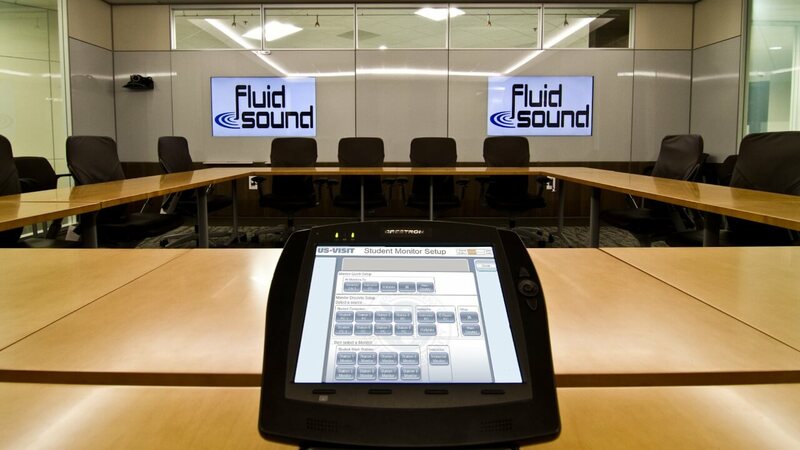 All Audio Visual control is accessible via secure, wireless Touch Panels.